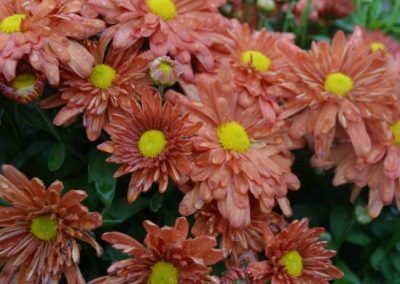 Although they can bloom from summer to fall, seeing garden mums at the nursery usually signals the start of the fall season. 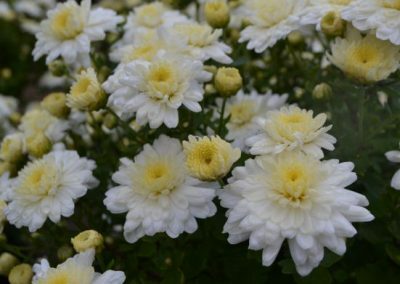 Chrysanthemums constitute a wide variety of plants including painted daisy, the very popular Shasta daisy and what we commonly refer to as the hardy mum. 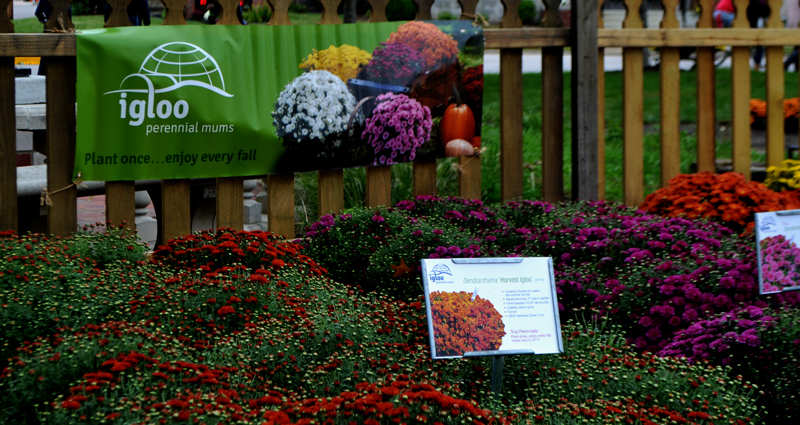 Hardy mums provide us with a wide array of color and form in the fall. They are a perfect replacement for the annuals you have enjoyed since spring. 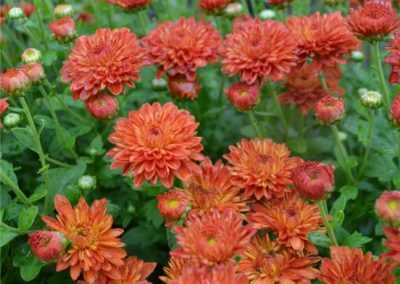 Unlike other garden mums, these are hardy and will return year after year! Their domed habit creates a mound of 2 feet tall by 2.5 feet wide. These tidy deer resistant and butterfly attracting perennials will bloom in June and then again in September. The flowers last well into frost. Mass them in mixed borders with ornamental grasses, asters and stonecrops. In containers they look handsome when accessorized with a variety of gourds and small pumpkins. 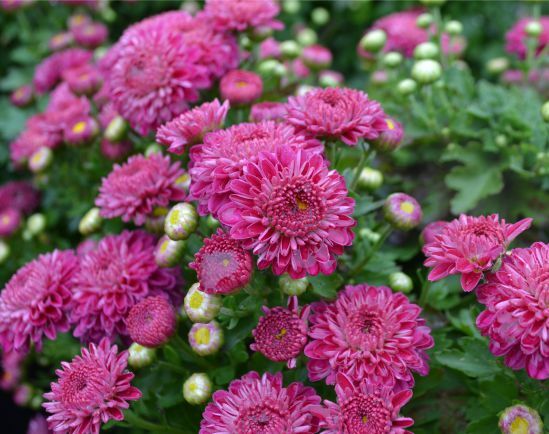 Plant your mums in a sunny location in fertile, well-drained soil. 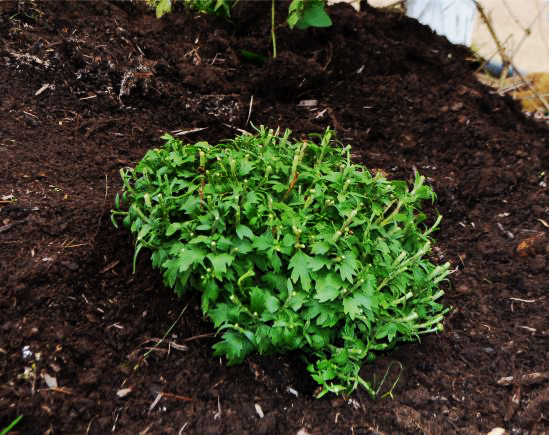 Soil can be improved by adding compost or peat moss. Space garden mums in flower in the fall based on plant size. 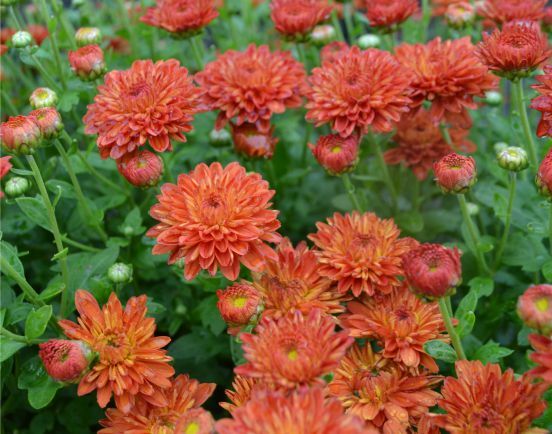 Young garden mums planted in the spring should be spaced 18-24″ apart. Be sure to cut and loosen the outer root system of the plant to ensure root growth. 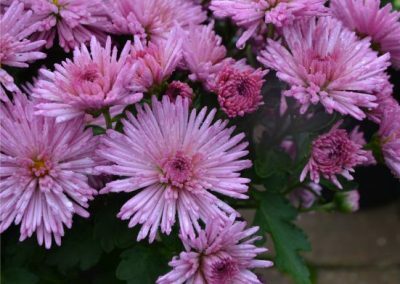 This is especially important for fall planted mums. 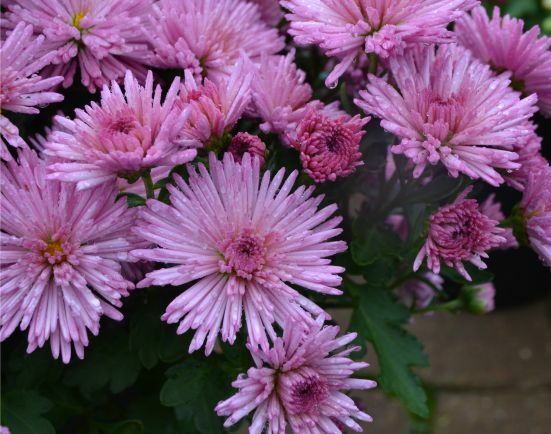 Rainfall in many areas is sufficient to keep your garden mums growing well. 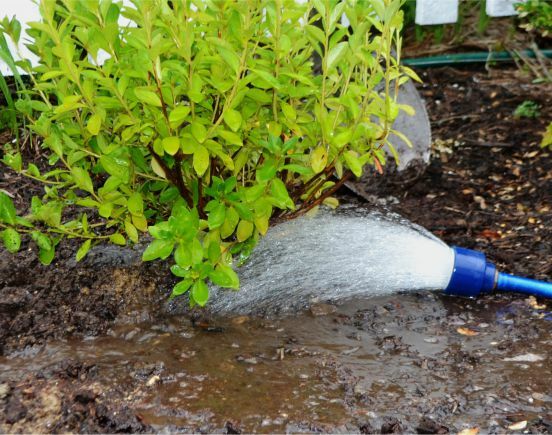 During dry spells, water as needed to keep plants from wilting. 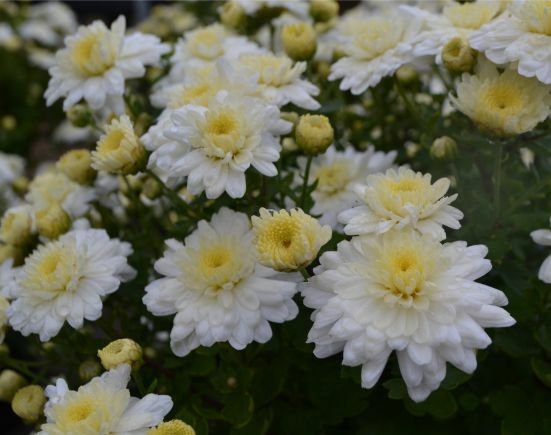 Always thoroughly water-in any freshly planted garden mums. 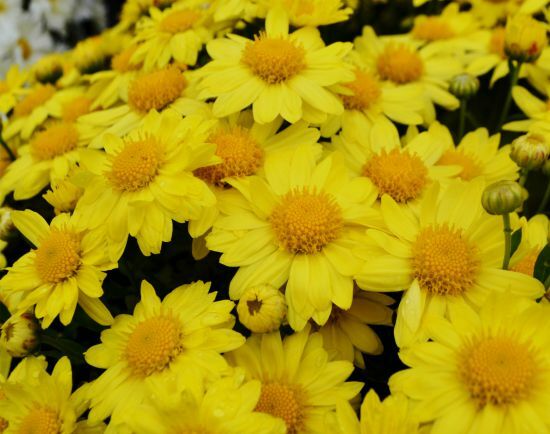 Mums planted outdoors in the fall do not need any fertilizer until they begin to grow the following spring. 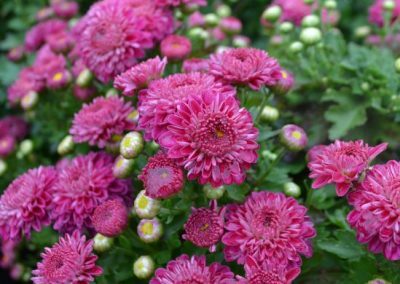 Many fall-planted garden mums fail to return in spring because of inadequate moisture. 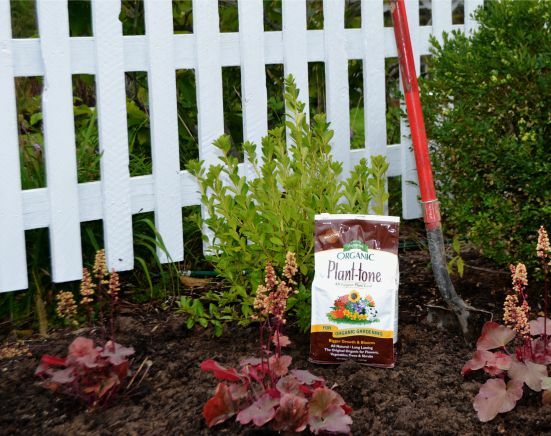 During the growing season, incorporate into the soil a general purpose fertilizer such as 5-10-5 at the rate of 1 lb. per 100 square feet repeating once monthly until August. Or, apply Plant-tone at the recommended rate once in early spring and again early summer.. If planting in the fall, no fertilizer is needed. 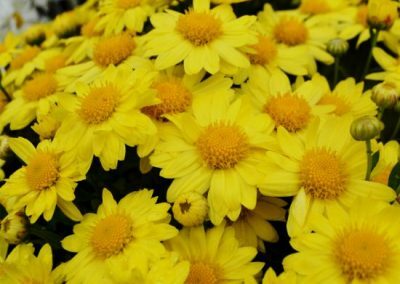 To encourage branching and development of compact bushy plants, it is very important to pinch back your garden mums in the spring as soon as the new growth is 4-6″ tall. Use your thumb nail and index finger to remove or “pinch” about 1/2 of the new growth at the top of each and every shoot. Repeat this procedure through the summer whenever new shoots are 3-5 inches long. In northern states, stop pinching around July 10th. 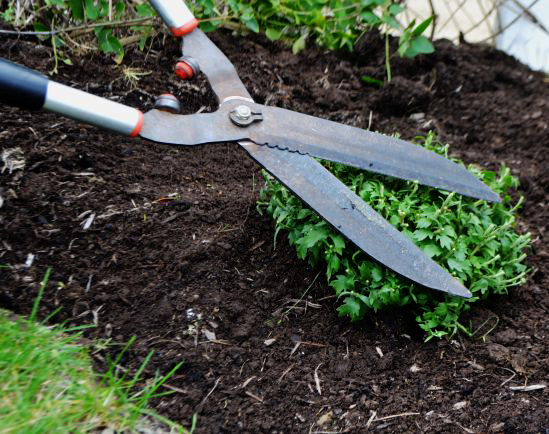 To pinch mums, you can use your hands, pruning shears or pruners. 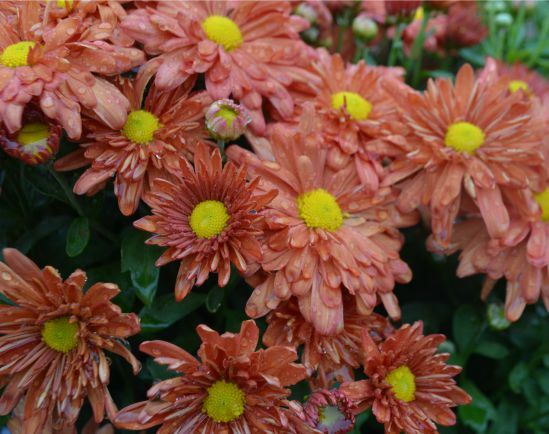 Keep your garden mums’ soil moist as winter approaches. There is no need to prune back plants until the following spring. 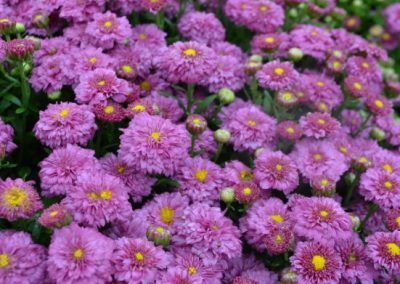 In fact, Yoder Brothers of Barberton, Ohio have proven, by experiment, that mums cut back in early spring, instead of fall, survive hard winters better. Mulch the plants after several hard frosts with straw or evergreen branches, etc. 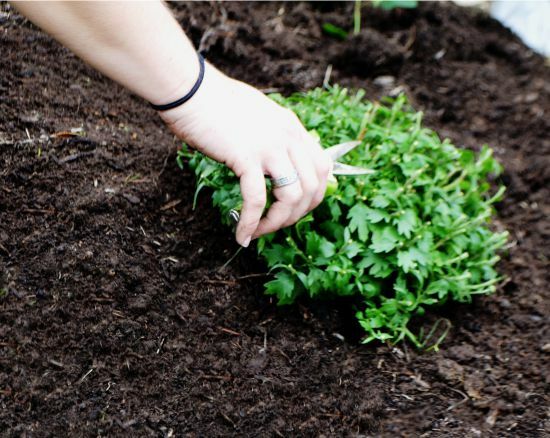 In spring, remove any old stems (a rake works fine) and gradually remove the mulch. 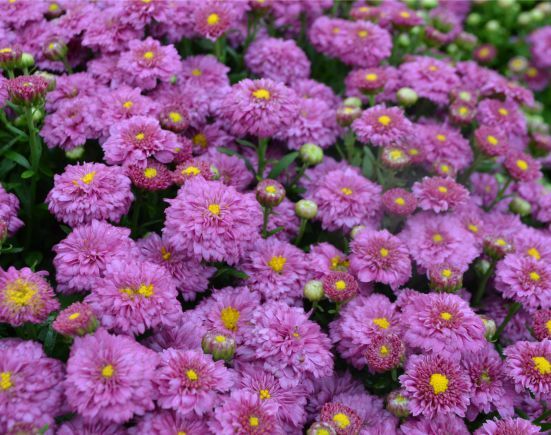 Mums can withstand very cool temperatures and even light frosts. The first hard frost usually marks the end of the season for hardy mums. Once the plants are dormant, the tops should be removed, clean up old leaves and debris and re-mulch the area. New shoots will appear early the following spring. It is a good practice to divide mums at least every 2 years. 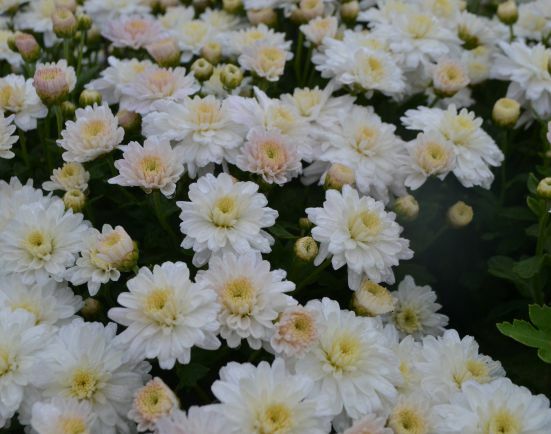 Mums can be propagated by dividing off the new offset that form around the old crown. Remove these carefully with as much of their root system intact as possible. Transplant these into the area you want them to grow in or into pots for later placement. An alternative method of propagating your old plants is to make your own rooted cuttings. Each cutting should be 3-4″ in length. Remove all leaves from the bottom inch and stick the cutting into a rooting medium such as sand, perlite or vermiculite. Keep cuttings moist and out of the direct sun. Frequent misting during the first 3 or 4 days will help prevent wilting. The cuttings should be well rooted in 10-14 days. They can be planted directly in the ground or into pots for later planting. 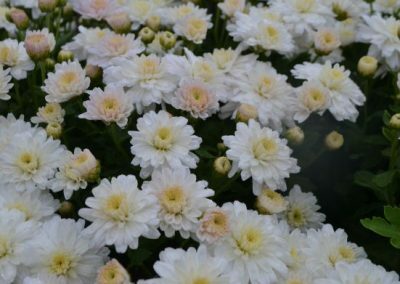 Chrysanthemums planted or propagated in the spring require repeated pinching to create nice, low, bushy plants for fall. Pinch back all new tip growth every 2-3 weeks starting when the plants are 6″ tall and continue until July 1-15.